Daily Debate: Are Fast Travel Tricks Worth the Time They Save? 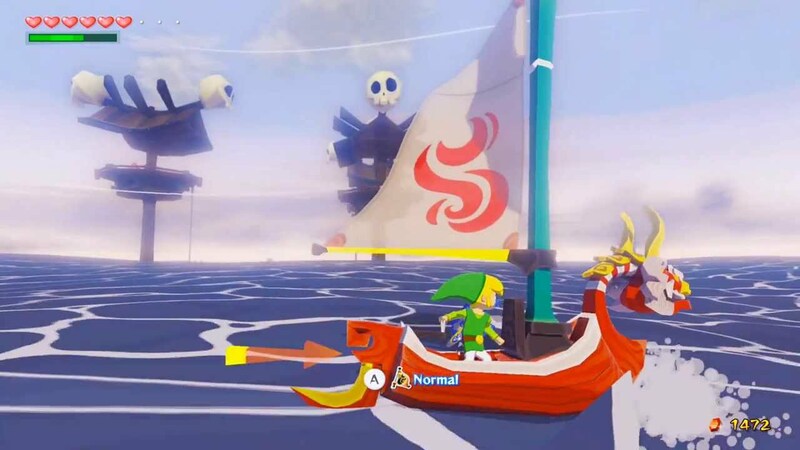 Whether Link is traveling by foot or on a boat, many of the games in the Zelda series have a little trick or two you can do to make traveling a little faster. The most common method is rolling. This can be done in Ocarina of Time, Majora’s Mask, Wind Waker, and more. Oddly our hero has endless stamina and gets around faster by somersaulting, but you have to put up with his repeated cries each time you do it. When traveling as Wolf Link in Twilight Princess you are able to surge forward with an attack that makes Link bark occasionally, but always seems to make Midna give a little gasp there on your back. Sea travel has ways of being a little quicker as well. In The Wind Waker you can equip the Swift Sail, which gives you a little burst of speed for a moment. To keep getting this speed boost you can switch between the regular sail and the Swift Sail, if you are willing to listen to the repeated PWING PWING PWING each time it activates. Phantom Hourglass also has a sailing trick. When you land your boat from a jump you get a small burst of speed. Each time you get to hear a wonderful FWIP noise as you get airborne. Weird sounds and strange images such as constant rolling, endless sea jumping, and more can lead some players to draw a line on what methods they will or will not use to traverse across the world. Is there a fast travel method you just won’t use, despite the little bit of time you’d save? Tell us in the comments below. Personally, I will use the Phantom Hourglass jumping, but prefer not to. It isn’t exactly the visual or the game sound, but the constant tapping of my stylus drives me nuts. The one thing I doubt I will ever do though is walking backwards like you can do in Ocarina of Time. Sure you move really fast, but I don’t feel like I know where I’m going.